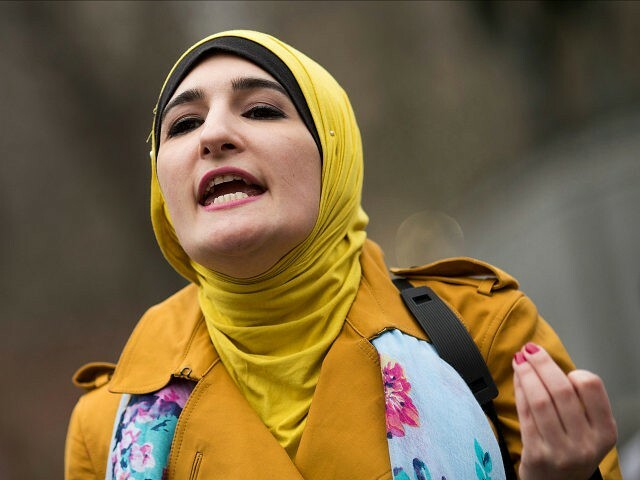 TEL AVIV – Women’s March leader Linda Sarsour seemingly issued an underhanded condemnation of American Jews for “masquerading as progressives” while choosing “their allegiance to Israel” over supporting Rep.-elect Ilhan Omar’s call to boycott Israel. The post prompted the American Jewish Committee to charge Sarsour with disseminating antisemitic tropes. Sarsour called on people to post messages of support for Omar. Sarsour went a step further in an online petition supporting Omar, accusing the Anti-Defamation League of “attacking” Omar. “Accusing Jews of dual loyalty is one of the oldest and most pernicious antisemitic tropes. No surprise to see it coming from @LSarsour. How long will progressive leaders continue to look the other way in the face of this hate?” said the AJC. Sarsour has previously been charged with spreading antisemitic conspiracy theories as well as refusing to disassociate herself from rabidly anti-Semitic Nation of Islam leader Louis Farrakhan, who recently compared Jews to termites. In September 2018, Sarsour made the claim that when U.S. police officers shoot unarmed black people, Jewish persons responsible would lurk in the background. Omar’s campaign on Wednesday told the Muslim Girl website that Omar “believes in and supports the BDS movement,” contradicting an earlier comment made during the campaign trail at a Minneapolis-area synagogue in which the Congresswoman-elect said she supported Israel’s right to exist under a two-state solution and did not support BDS. She also claimed at that time that BDS “stops the dialogue” and is “counteractive” to arriving at a two-state solution. In 2012, Omar said that Israel had “hypnotized the world” and it was time to wake up to the country’s “evil doings.” This year she defended her claim, saying that drawing attention to the “Israeli apartheid regime” was not anti-Semitic. Palestinian-American Congresswoman-elect Rashida Tlaib, a fellow BDS supporter, sent a message endorsing Omar’s words. “My parents were both born in Palestine (Falastine). My sity still lives there,” she tweeted, referring to her grandmother. “So when my sister @IlhanMN is being attacked for supporting the #BDS movement (protected freedom of speech!) we can’t stay silent. Nothing is more American than the fight for justice at home & abroad,” she wrote.